During lunch break, I decided to do a little browsing of photo and found this. 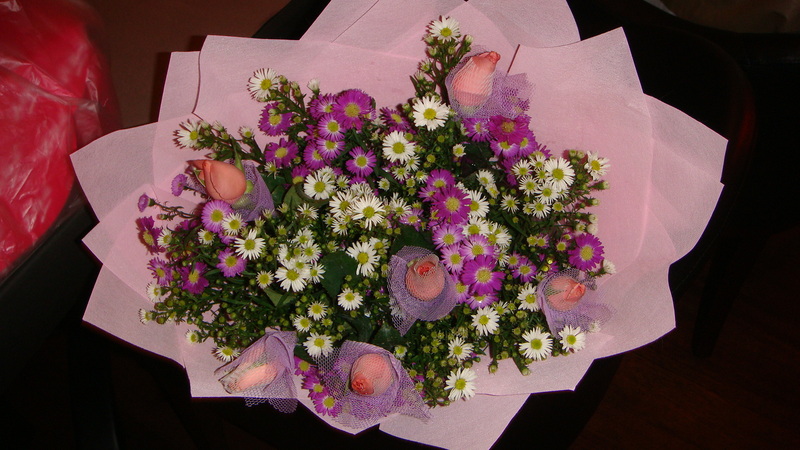 My first bouquet from hub, bought during my birthday. It was the first year we were together. I was feeling all sweet and nice UNTIL when I notice that the date was 4 years back ! I tried to recall if there were any flowers after that but…. no more flowers !!! 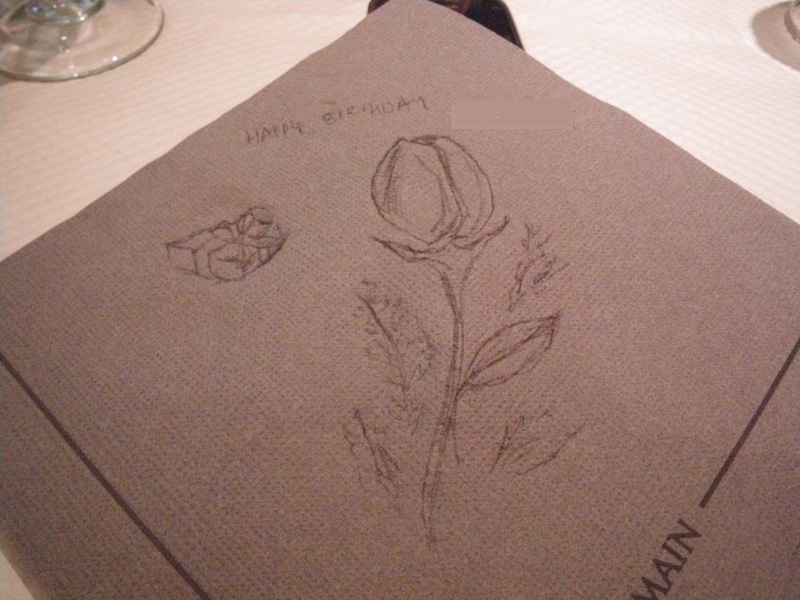 (unless you count the bouquet he got during our wedding day / the sketches he made ). bleh… blehh. 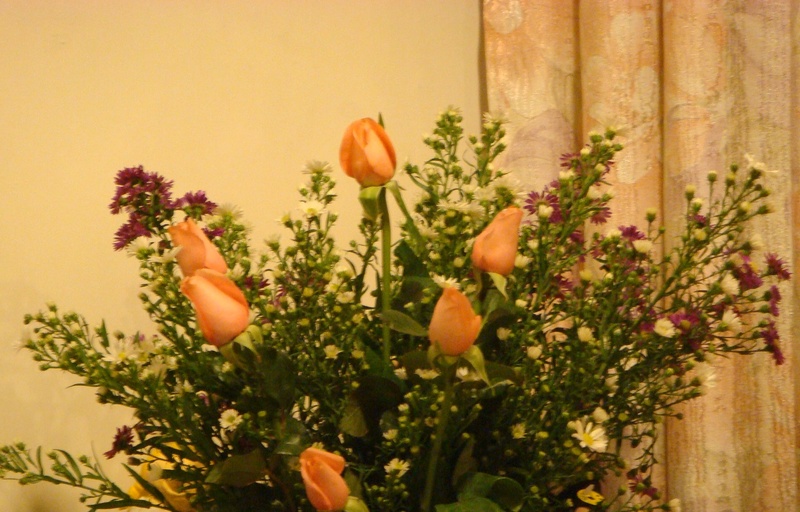 So, if you are reading this (yes you hubby dear) – you better get your wifey some REAL flowers soon… !! !